The Pulitzer Prize-winning novelist passed away in Martha's Vineyard, Mass., at the age of 81. 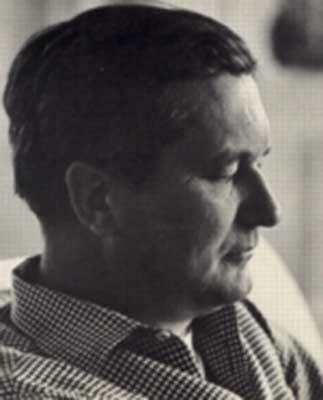 NEW YORK -- William Styron, the Pulitzer Prize-winning novelist whose explorations of the darkest corners of the human mind and experience were charged by his own near-suicidal demons, died Wednesday in Martha's Vineyard, Mass. He was 81. Styron was born in Newport News and grew up in the Hilton neighborhood. The Port Warwick community off Jefferson Avenue is named for the town (based on Newport News) in his first novel, "Lie Down in Darkness." Loftis Boulevard and Nat Turner Boulevard in Port Warwick are named from characters in his books, and the development's town square bears his name. Styron's daughter, Alexandra, said the author died of pneumonia at Martha's Vineyard Hospital. Styron, who had homes in Martha's Vineyard and Connecticut, had been in failing health for a long time. "This is terrible," said Kurt Vonnegut, a longtime friend. "He was dramatic, he was fun. He was strong and proud and he was awfully good with the language. I hated to see him end this way." A handsome, muscular man, with a strong chin and wavy dark hair that turned an elegant white, Styron's obsessions with race, class and personal guilt led to such tormented narratives as "Lie Down In Darkness" and "The Confessions of Nat Turner," which won the Pulitzer despite protests that the book was racist and inaccurate. His other works included "Sophie's Choice," the award-winning novel about a Holocaust survivor from Poland, and "A Tidewater Morning," a collection of fiction pieces. He also published a book of essays, "This Quiet Dust," and the best-selling memoir "Darkness Visible," in which Styron recalled nearly taking his own life. Styron was a liberal long involved in public causes, from supporting a Connecticut teacher suspended for refusing to say the Pledge of Allegiance to advocating for human rights for Jews in the Soviet Union. In the 1990s, Styron was among a group of authors and historians who successfully opposed plans for a Disney theme park near the Manassas National Battlefield in northern Virginia. Although he was often cited along with Vonnegut and Norman Mailer as a leading writer of his generation, he produced little over the past 15 years. Styron was reportedly working on a military novel, yet published no full-length work of fiction after "Sophie's Choice," which came out in 1979. He did remain well connected, whether socializing with President Bill Clinton on Martha's Vineyard or joining playwright Arthur Miller and author Gabriel Garcia Marquez on a delegation that met with Cuban leader Fidel Castro in 2000. "He was always generous to me as a younger writer," said E.L. Doctorow, who, like Styron, has been published for decades by Random House. "He stood in my mind as a sort of writerly presence, an iconic Southern writer." The son of a shipbuilder, William C. Styron Jr. was born in Newport News to a family whose history extends to colonial Virginia. He was awed by the torrential fiction of fellow Southerner Thomas Wolfe and knew by his late teens he wanted to be a writer. His own life offered strong material. At age 13, his mother died, transforming him into a "hell raiser" with an unhealable wound of guilt. He served as a lieutenant in the Marines during World War II and in 1945 was stationed in Okinawa. He was to take part in the invasion of Japan and didn't expect to come out alive. The battle never took place; the United States dropped the atom bomb instead. "Some of my problems I think came from a continuing anguish over my mother's death and if I had gotten shot it would have been, I suppose, some kind of completion. It's hard to say how that would have worked out," Styron told The Associated Press in a 1990 interview. "When I was a young Marine platoon leader, there was this incredible sense of fate. The myth at that age is you're going to live forever. Well, I never believed that and my friends didn't. I thought I was going to die." After the war, Styron graduated from Duke University and moved to New York, where he worked briefly as a copy editor at McGraw-Hill until the publisher fired him "for slovenly appearance, not wearing a hat, and reading the New York Post." With extra free time and financial help from his family, Styron was able to complete "Lie Down in Darkness," detailing the destruction of a Southern family in a tempest of alcoholism, incestuous longing, madness and suicide. It is told in the third person - except for the final passage, a soliloquy by the daughter, Peyton Loftis, in the moments before she commits suicide by jumping out a window. Styron was recalled to the Marines in 1951, just as "Lie Down in Darkness" was being published, and his second book - "The Long March" - drew on his experiences at Camp Lejeune, N.C., and in the Marines. He took a lengthy tour of Europe after his discharge, offering moral and literary support for the founding of The Paris Review and meeting his wife, the poet Rosa Burgunder, with whom he had four children. After publishing the novel "Set This House on Fire," in 1960, Styron turned to what had been a lifelong obsession: Nat Turner and the slave revolt of 1831. As a child, Styron lived near where the uprising had taken place and he never forgot a brief, harsh reference to Turner in his grade school history book. In the early 1960s, "intensely aware that the theme of slave rebellion was finding echoes" in the growing Civil Rights movement, he worked on a fictional account of Turner, who Styron concluded was both hero and madman. "The Confessions of Nat Turner," published in 1967, earned Styron the Pulitzer Prize, but also fulfilled his friend James Baldwin's prediction that "Bill's going to catch it from black and white." Styron was called "psychologically sick" and "morally senile." He was criticized for making Turner an "indecisive and emasculate wimp" and condemned for even writing the book, with some saying a white, Protestant Southerner could not truly understand or explore the thoughts of an African slave. 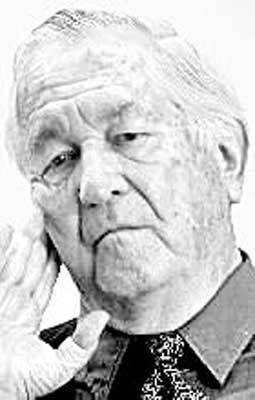 The novel was furiously condemned in a 1968 book, "William Styron's Nat Turner: Ten Black Writers Respond." Styron's reply: Writers of fiction have a duty to "meditate" on history and bring understanding through imagination. Styron turned to the Holocaust for the novel "Sophie's Choice," which won the National Book Award and was later made into an Academy Award-winning film starring Meryl Streep. Based partly on Styron's years in New York, "Sophie's Choice" is narrated by a young Southerner who meets a Polish-Catholic survivor of the war and learns of her sufferings in a Nazi concentration camp. Once again Styron was the target of critics, who said he could not possibly navigate the feelings of a woman, a Jew or a survivor of the camps. Styron would claim vindication in 2002 when the Auschwitz Jewish Center Foundation, an organization led by his friend, the businessman Fred Schwartz, gave the author its third annual Witness to Justice Award. "This award sort of clears the air for me," he told the AP in a 2002 interview. "It is a kind of solid validation for me of what I tried to do as a novelist." But he also had enemies from within to conquer. In late 1985, suffering from depression that only worsened when he was prescribed the drug Halcion, Styron narrowly stopped short of killing himself and instead checked into a hospital. In a brief book, "Darkness Visible: A Memoir of Madness," Styron discussed his own experiences - including speculating that some of his early characters grew out of his own depression - and other writers who have suffered from mental illness. "Death ... was now a daily presence, blowing over me in cold gusts," he wrote in his memoir. "I had not conceived precisely how my end would come. In short, I was still keeping the idea of suicide at bay. But plainly the possibility was around the corner, and I would soon meet it face to face." The Daily Press contributed to this report. I first heard about Styron while at Virginia Tech. My mother wrote about "Lie Down in Darkness" being published and upsetting a number of NN folks. The college library had it on order and my reservation for the book was the very first. Although the names were all changed I had no trouble ID'ing all the places and even some of the characters. The section describing the massive river baptizing by black evangelist Daddy Grace was especially significant to me. My grandfather took me to see one of those sessions when I was about four. We were the only white folk present. The officials were all assembled on a raft anchored offshore. A long line of contemplatives were strung out into the water, waiting for the rites. Daddy Grace took notice of the white man and his child and sent one of the helpers ashore to deliver the message that we would be welcome to participate. That terrified me and I started trying to pull my grandfather away. Fortunately he sent a polite decline back out to the raft. The decline with grace to Daddy Grace saved me from being saved! At age 15 my mother had a summer job in the shipyard offices. There she met Styron's future mother and father. In a little skit mother wrote for an office party she predicted that the two would some day be married. My mother left photos of the office girls having parties and outings. Styron's mother is prominent because of her beauty and for being a few years senior to the others. My Gloucester cousin, the late Catesby Todd Field, Jr. was a classmate of Styron at Christchurch school in Middlesex Co. He remembered Styron asking for information on farm life. One question was, "What purpose does a bull serve and why do they need only one on the farm." My cousin said he formed the explanation in the most polite way possible. It is interesting that Styron's invented place names are being used in NN developments. Must be frustrating for his surviving adversaries - they could not protest without starting up speculation again about who's who in the book. That's the big news from Port Warwick.